As politicians in Washington D.C., rewrite and pull back federal environmental regulations, they may be surprised to discover that some of the loudest objections are coming from interfaith groups that cross racial and ethnic lines, according to Amanda Baugh, an assistant professor of religious studies at California State University, Northridge. 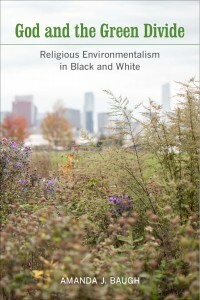 Baugh, author of “God and the Green Divide: Religious Environmentalism in Black and White,” said people of faith are banding together across denominational lines to do what they can to protect the environmental health of the communities they live in. It’s that complexity that also is inspiring more people of color in efforts to work to protect the environment, Baugh said. “Even today, if you look at mainstream environmental organizations, they continue to be mostly white, with activists focusing on saving the ‘wilderness,’” she said. She noted that as early as the 1980s, studies documented examples of “environmental racism,” the disproportionate location of toxic waste sites, landfills and polluting industries in minority and poor communities. Baugh spent several years studying Faith in Place, an interfaith environmental organization in Chicago. 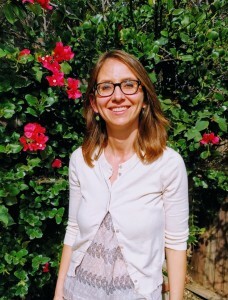 That research provided the foundation for her book, “God and the Green Divide,” which was published last fall by University of California Press. Members of Faith in Place argued — as did several other religious leaders, including Pope Francis — that climate change is a moral issue that disproportionally affects the poor and, adhering to the tenets of their faiths, they have an obligation to respond appropriately. “But Faith in Place participants also engaged in eco-friendly behaviors for other reasons,” Baugh said, citing the example of Veronica Kyle, director of the organization’s congregational outreach. Kyle also developed programs to provide training and temporary employment in environmentally friendly industries and organic gardening projects, hoping alumni of those programs would turn their new skills into “green” careers. Now in Los Angeles, Baugh’s new research project focuses on the relationship Latino Catholics have with the environment. Although her research is still in its early stages, Baugh said she already is seeing indications that Latinos, particularly immigrants, have deep environmental convictions. “Those beliefs grew from connections to their ancestral homelands and an understanding of nature as inseparable from God,” she said. Baugh said the African-American community she studied in Chicago and her work with the Latino community in Los Angeles challenge the generalization that theologically conservative groups tend not to prioritize environmental concerns. Baugh doesn’t know what her findings mean for federal environmental policy coming out of Washington, D.C., but, she said they do indicate that the larger conversation about the environment needs to be broader and more inclusive.